Want to get your funk on? Mosto bar and restaurant can fill the trendsetting void in your life. The funky and modern interior with mismatched furniture, candy-colored glassware, and hanging chandeliers has “off-the-beaten-track” vibes, reminiscent of a local haunt one would be thrilled to discover during a culinary adventure. Mosto has long been a heavyweight among the Nali Patio dining spots offering casual luxury. Their menu is an experimental take on South American Cuisine, also taking inspiration from Asia, North America, and Europe. It’s a fusion restaurant that shapes up to be a perfect example of why mixing it up always pays. 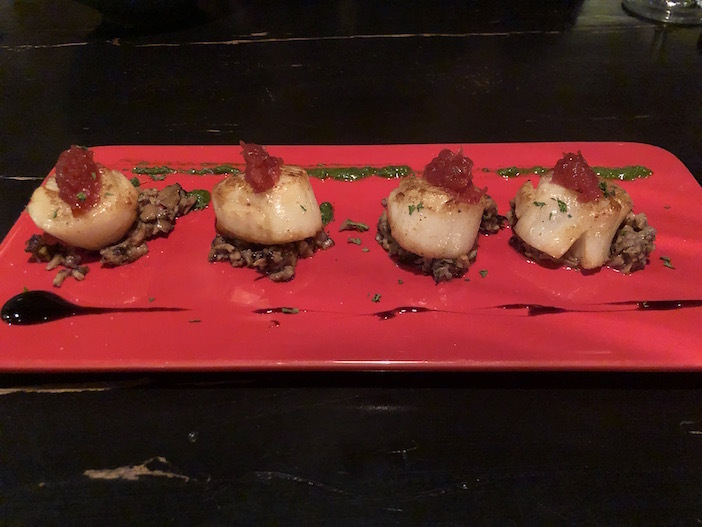 The meal began with one of three “small plates”. 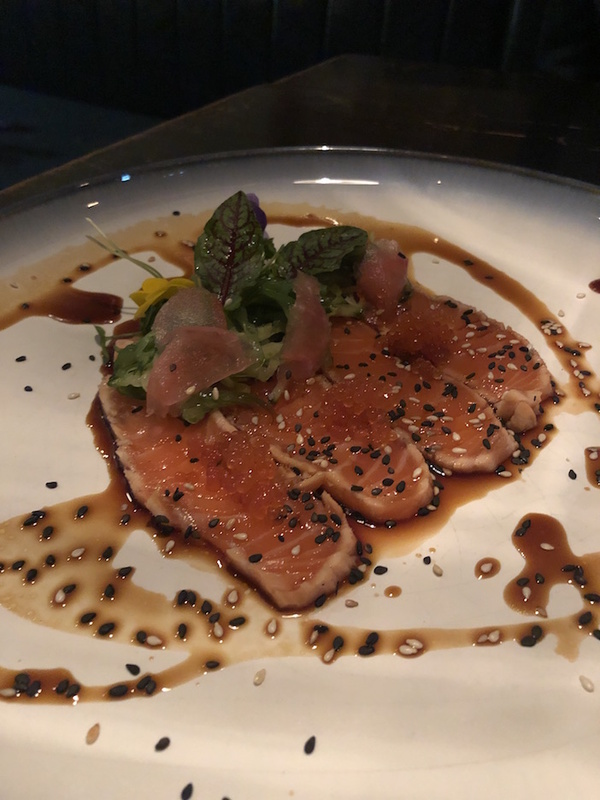 The Smokey Salmon Tataki (RMB 88), seared smoked salmon dressed in orange-ginger teriyaki and black sesame seeds, was a refreshing and tasty start to the evening, and may require that you unashamedly wipe the plate clean with a freshly baked white mini-loaf from the breadbasket. I’ve always known Prawn Pil Pil as a dish prepared using olive oil and garlic or sweetened using tomato passata, so I was intrigued by the Chilean Pil Pil (RMB 88), with prawn and squid dressed in a white wine sauce with cilantro. 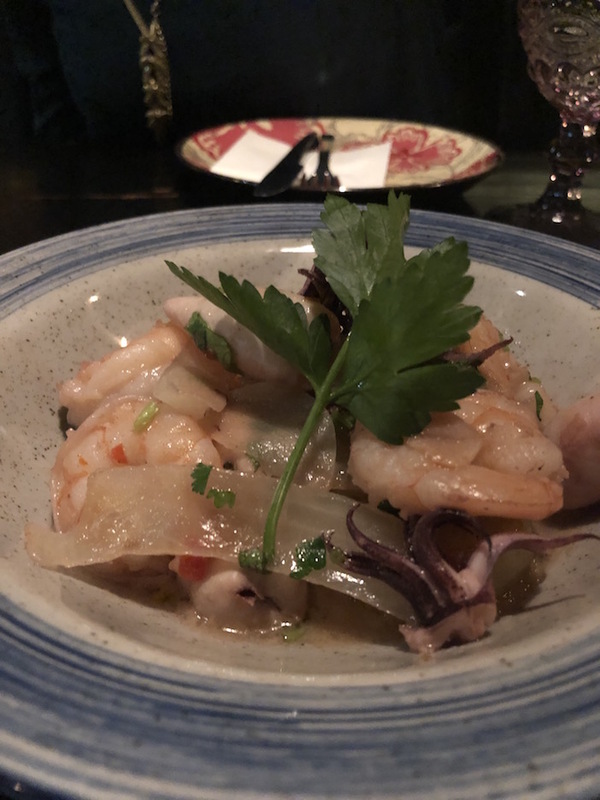 The seafood was perfectly cooked; however, the soft fondant potato that sat beneath the generous portion of squid need not be there. For me, the Japanese Scallops (RMB 125) stole the starter show. Sweet and precisely cooked scallops sitting on a bed of sautéed shiitake mushrooms were divine, and were perfectly matched with a herby parsley sauce and sweet onion compote. This had to be one of my favorites of the evening and will likely go very quickly, so if you need to, order extra scallops for RMB 30 apiece. Ready, steady, prepare to be walloped by the scallops. 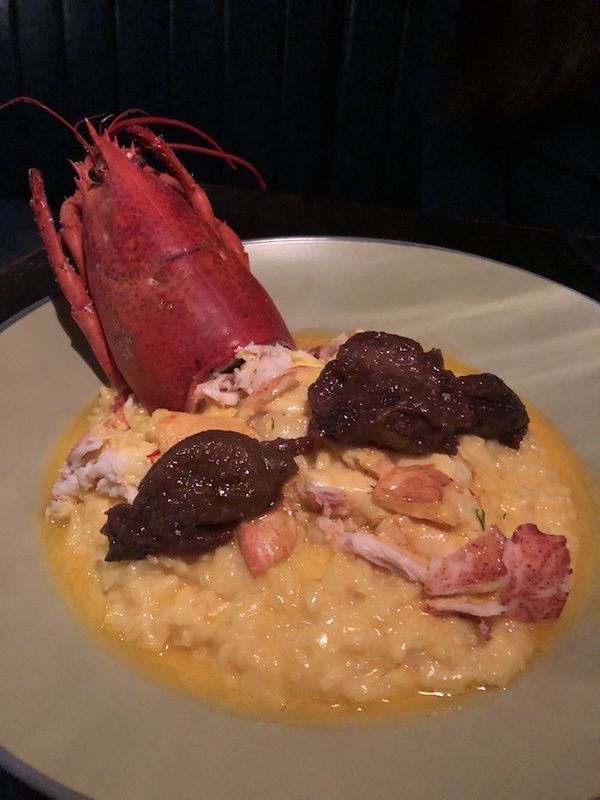 The Boston Lobster (RMB 450) has potential to be a show-stopping plate but falls just shy of taking the crown due to the overpowering richness and overzealous quantity of butter which dresses the already rich risotto. Omitting the soaked plums and reworking the presentation would do wonders for a dish that has the makings of an opulent and oh-so-indulgent romance starter. You never need an excuse to order a cheese board, so try Mosto’s Charcuterie Board. It’s cheese and premium cold cuts. Need I say any more? What should be your go-to dish is the well-seasoned and seared beef tenderloin (RMB 228), which can be served with a side and sauce of your choice. Melt-in-the-mouth imported beef did not disappoint, along with a generous portion of red wine sauce and potato gratin. 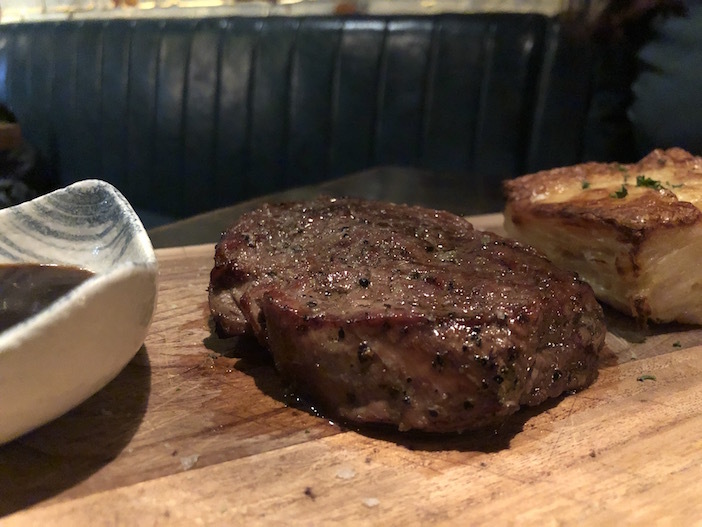 Other sides and sauces available to pair with the beef (cooked to your liking) include truffle mashed potato, roasted pumpkin, blue cheese sauce, and avocado salsa. This steak is not just a basic steak; it’s a Mosto steak. Say “cheers” to the night and the steak with a glass of Malbec (RMB 75). To complete the evening, the manager recommended the chocolate soufflé. Dark chocolate with a lava center was indulgently washed down with a glass of Prosecco (RMB 65). A passion fruit coulis cuts through the richness and adds a pleasant palate-cleansing finish to the dish. If this isn’t the luxurious ending that all couples should experience on a date night, I don’t know what is! 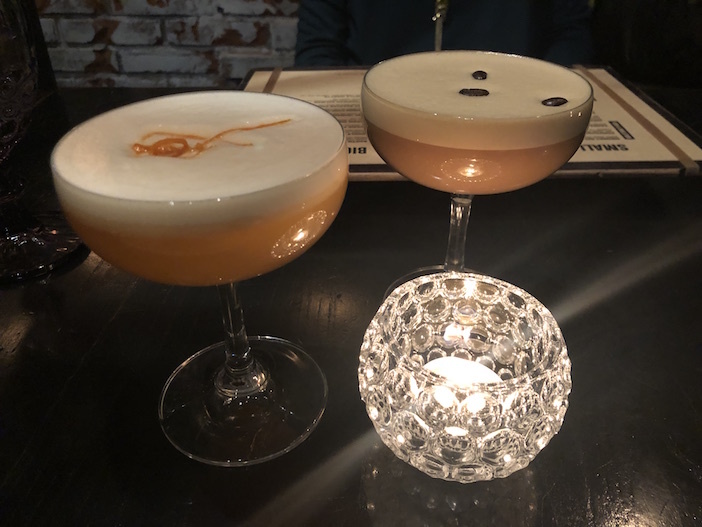 Against a backdrop of exposed brick and candlelight, Mosto has instant flair and notes of bohemian charm, but unfortunately can be let down at times by lackluster service. This can be forgiven when knocking back one of their finer offerings, such as their Whiskey Sour (RMB 65); sweeter than usually prepared and finished with a frothy and fragrant egg white foam, this yumminess in a glass will prepare you to enjoy South American contemporary fare that you may just decide to make a regular trip for.